Well, who would have thought it? All those years ago, in February 1998, we launched the very first of our Cuban dance holidays, hoping that they would appeal to people who wanted to learn to dance and also experience a slice of authentic Cuban culture. And here we are, 20 years on, celebrating 2 decades of Cuban dance (and music) holidays with hundreds of happy travellers who have experienced Cuba through our trips and who keep coming back for more. 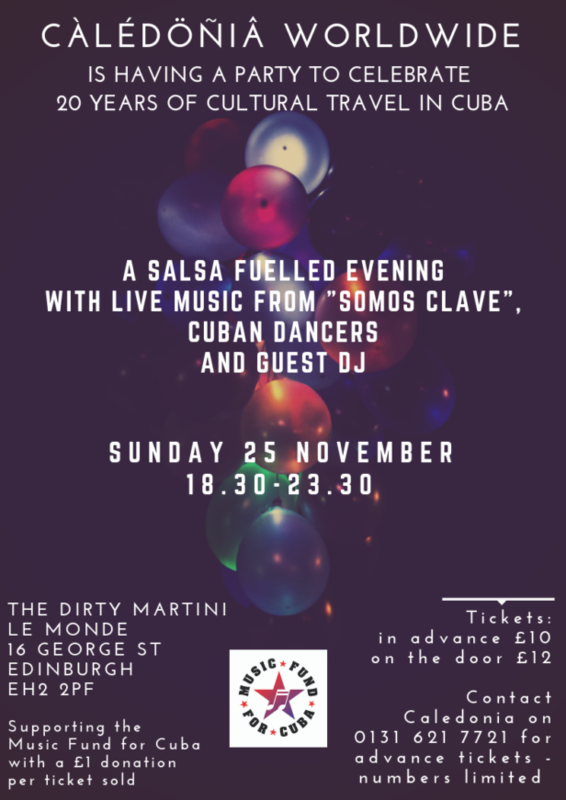 We would be really delighted if you would join us for an evening of celebration in Edinburgh to mark our 20th anniversary of cultural travel in Cuba. Although we operate all over Cuba, our hearts are in the historic city of Santiago de Cuba. Anyone who has been to Cuba will have witnessed firsthand the joy and positive energy conveyed through live music and dance all over the island, and nowhere more so than in Santiago de Cuba, the second largest city after Havana and widely recognised as the home of traditional Cuban son. Our local coordinators, dance and music tutors and homestay hosts all have contributed to the success of our cultural holidays in Cuba, welcoming people into their lives and homes, forging lasting friendships with Caledonia clients from all over the world and demonstrating firsthand just why Cuba has such a special place in many people’s hearts. Spontaneity, vitality, a positive attitude to life and resourceful thinking all are characteristics that make Cuban people who they are. In the early days, we organised two small group trips each year, with a fixed itinerary and set dates. We now offer five group dance holidays each year, and music holidays twice a year, with tailormade cultural holiday itineraries available all year round. 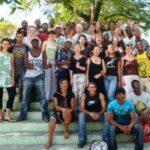 Cuba is world famous for its music, dance and visual arts, with young Cubans encouraged to consider the arts as a professional career at a young age. Talented youngsters are selected for entry into dedicated arts schools and colleges around the country, and the arts are also fully integrated into the normal school curriculum. 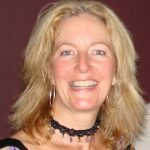 The country’s free music schools nurture the talent of thousands of skilled young musicians each year, and whilst qualified teachers are plentiful, musical instruments and other resources are often in very short supply. This is why, to mark our 20th anniversary, Caledonia Worldwide is delighted to be supporting the Music Fund for Cuba, the only UK registered charity which supports the development of music, arts and culture in Cuba. Not only will we be donating £1 for every ticket sold for our 20th anniversary party celebration, we are also acting as regional coordinators and a collection hub for the Play for Cuba campaign https://playforcuba.org/, an exciting new project to collect and ship a container of musical instruments and equipment to young musicians on the island. This is a nationwide appeal to source new and secondhand instruments to support young Cuban musicians. You can support Play for Cuba by donating instruments. 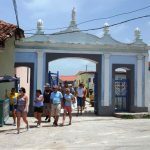 It’s amazing how many will be lying around unused in homes and attics and by having them taken over to Cuba, skilled craftspeople and musicians in Cuba can repair and bring them to life again. Just get in touch with us on info@caledoniaworldwide.com to let us know what you would like to donate and we can take it from there. We are appealing for all new and second-hand instruments as well as reeds, strings and drum sticks, and any associated items such as carrying cases or music stands. The campaign will run until April 2019 when the final nationwide collection will be completed and sent off so be sure to get in touch in plenty of time so that you can drop off the items at our Edinburgh office (we are based in Leith). 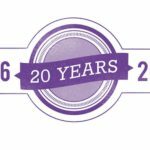 We look forward to hearing from you and to seeing you on 25 November for our 20th anniversary party. Hasta pronto!